Crowley drink recipes: Eagle Tail Maya – Zero Equals Two! 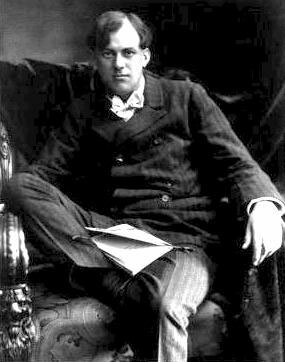 During his lifetime, Aleister Crowley was depicted by the tabloid press as the “Wickedest Man In the World,” a notoriety he took wry pride in and slyly cultivated for its publicity value (not unlike Disney child-stars releasing provocative music videos or starring in “R” rated films in recent years) and this reputation persists in the public’s imagination to this day. What’s less well known is his accomplishments as an: intrepid and resourceful mountaineer (who mounted the first expedition to Chogo Ri/K2, 2nd highest mountain in the world, their 1904 attempt not bested for 50 years); accomplished and critically acclaimed poet; avid world traveler; early student and earnest practitioner of various non-Western faiths; visionary spiritual philosopher who introduced the world to the religious doctrine “Thelema.” These would be but a few of his many exotic pursuits and areas of expertise… as well as a dapper dresser, gourmand and innovative mixologist! Syrup of ether to taste.